When the offspring of any great country stylist chooses or is pushed into a performing career, comparisons to that celebrated parent are inevitable. Relatively few of those second-generation singers have the combined talent, discipline and ambition to sustain an independent career. For every June Carter, Rosanne Cash, Lori Morgan, Hank Williams Jr. and Hank III, there are dozens of Kathy Copases, Betty Foleys, Marty Haggards, James Monroes, Jimmie Rodgers Snows and Shelly Wests. Although he never achieved the iconic status of his charismatic father Ernest Tubb, Justin Tubb was one of the standouts. While his famous last name admittedly opened doors normally closed to outsiders, the younger Tubb was determined to make his own mark in Nashville. His warm vocal style couldn't have been more different from his father's dry Texas drawl. His relaxed demeanor and stage presence translated well onto radio and records, while his boyish good looks made him a natural for stage and television. By the time he reached age 20, Tubb was already a Grand Ole Opry regular. Like his father, Tubb was a skilled songwriter. During the first six years of his recording career, he wrote or collaborated more than a third of the songs he cut for Decca. 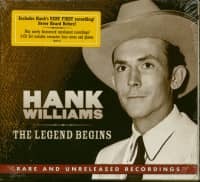 Later on he wrote country hits for George Jones, Hawkshaw Hawkins, Faron Young, Del Reeves, Ray Price, Jim Reeves and Dottie West, Highway 101, and Ernest Tubb, among others. Imagine That, immortalized by Patsy Cline, endures as a country standard. During the 1970s Tubb emerged as outspoken champion for traditional country music. At the time of his death in 1998, he was becoming one of Nashville's and the Grand Ole Opry's respected elder statesmen.